Who doesn't love a trip down memory lane? Erstwilder just released a fun new collection that will have you reveling in nostalgia! With fourteen brooches (one of them being a re-imagined fan favorite) and one necklace and a pair of earrings, this range is perfect for the young and the young-at-heart. You can check out my picks below! An overwhelmingly popular fan favorite, Erstwilder took their original Fairy Bread brooch and released a new color way and style (you can also get a necklace and matching earrings!). This version has vibrant 100's & 1,000's on the bread, which is apparently ridiculously good because this one has a bite in it! 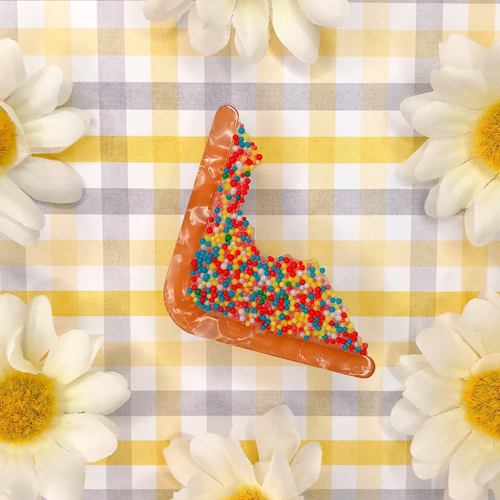 If you don't know what fairy bread is, it's a fun, colorful treat normally served at children's birthday parties in Australia. Question is: why doesn't it exist here in the states? Guess I'll have to enjoy it through my brooch! 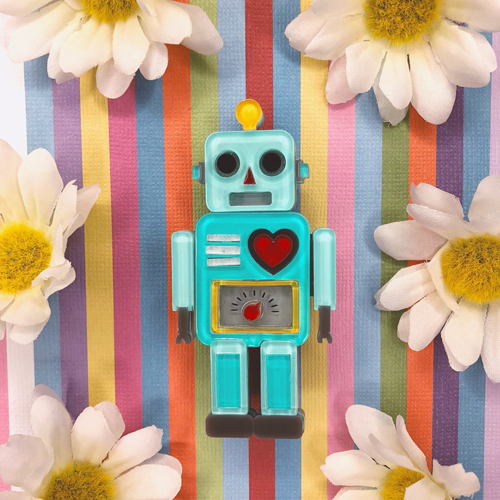 Seriously, who doesn't love robots? I'm obsessed with this new design, it's definitely my favorite in the bunch! He's bright and a little bit sparkly and apparently has the biggest heart. My (now adopted) foster dog Sleepy couldn't help but join in on the photo shoot fun. They're both pretty much the cutest! 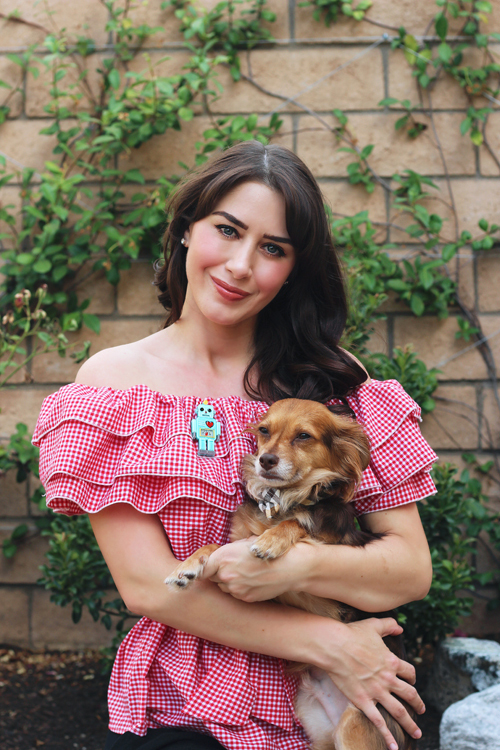 As the mom to four senior, special needs rescue dogs, this brooch was a must have for me! I did own a trundling dog when I was a kid, but I became much more interested in the living kind as I grew up. 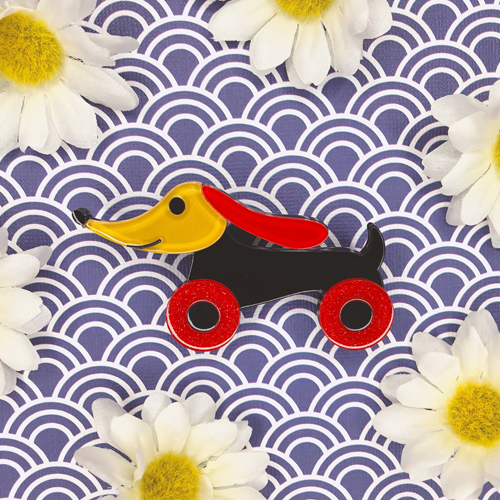 I love his bright features and his sparkly wheels, he's the perfect addition to my ever-growing doggy brooch collection! To shop the entire collection, click HERE! Which are your favorites? Let me know in the comments below!